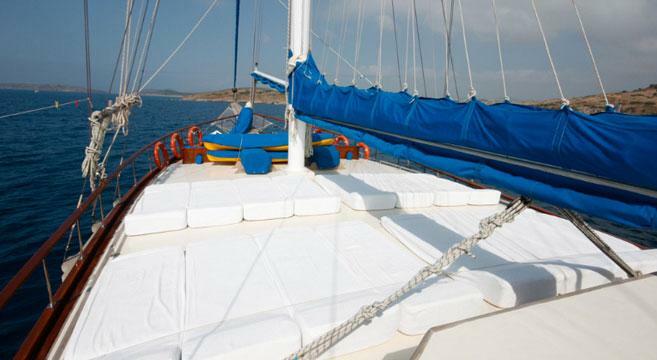 Sun, sea and snoozing on deck while the turquoise sea whispers under the keel… this may just be the most relaxing Med holiday you’ll ever enjoy. 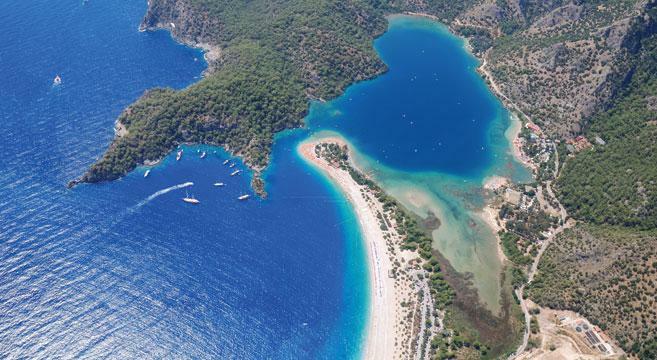 The beautiful Turquoise Coast runs for more than 500kms from Side to Bodrum. Between the major resorts are hundreds of hidden coves, secret beaches and pretty little ports and the best way to discover these is on what is sometimes called a Blue Cruise – a wonderfully laid-back week on a traditional wooden Gulet. We offer three start points: Bodrum, Fethiye and Kemer. Each itinerary is as scenic as the next, and the Gulets are virtually identical. Between them, they give you a choice of flights and departure dates. 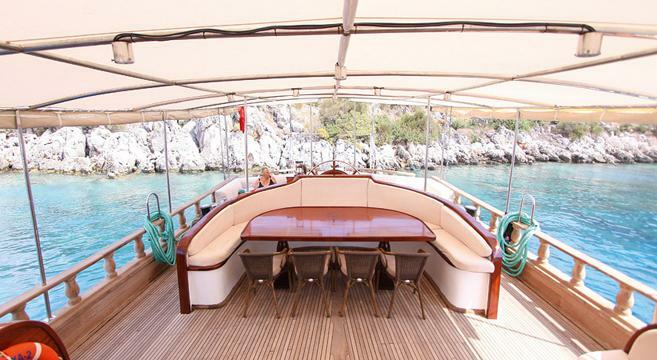 Whichever you choose, the days fall into an easy pattern of breakfast on deck, reading and sun-bathing while the boat gets under way, visiting a secluded bay for swimming and snorkelling before lunch; cruising again in the afternoon and dropping anchor in a safe harbour each evening. 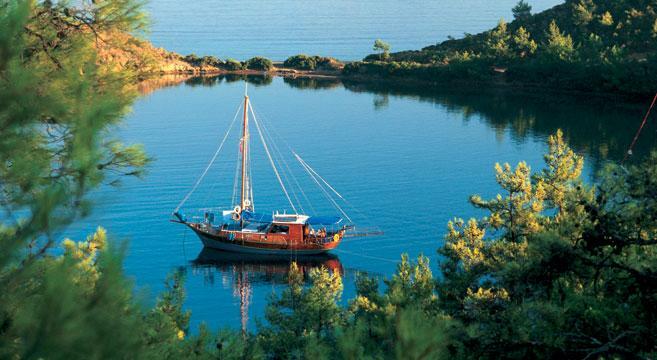 This is a wonderful way to unwind, get a great tan and explore Turkey’s astonishingly beautiful coast in good company. 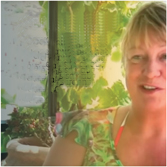 This is a laid-back, floating Houseparty, with no need to dress for dinner! Each charter is exclusive to Friendship Travel, so all guests are single travellers like you. One of our Hosts meets you on arrival and introduces you to the captain and his small team, who take on Hosting duties for the duration of the cruise. No sailing experience is necessary, because the crew takes care of everything, from reading the weather and sailing (flexing the itinerary if necessary), to catering. 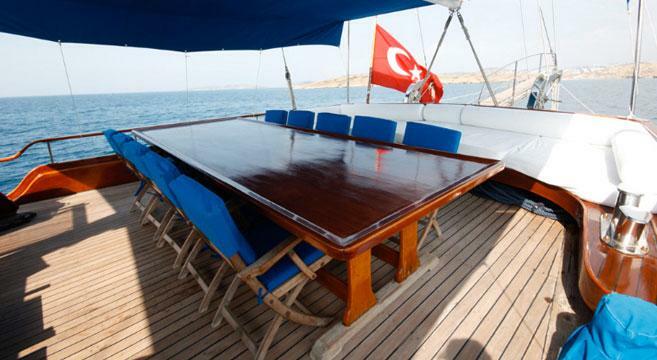 We charter standard 8 cabin Gulets for our exclusive use. Each ship (approx 22-25 metres in length) has just 8 double cabins for sole use, which means the deck and living spaces are never crowded. Traditionally-constructed in wood, the Gulet uses its reliable diesel engine most days, but when the winds are right the Captain may raise canvas to sail to the next port of call. Ship’s kit also includes snorkelling kit and a sit-on sea kayak. There’s room on deck for a sun bed area, some shaded seating, and outdoor dining. The saloon provides sociable living space and tiny bar, with a CD player, packs of cards and board games. The holiday is full board: continental breakfasts and simple 2-course lunches and dinners are produced from the galley, as is a light afternoon tea. Drinks are not included in our package, but beer, wine and soft drinks are available from the bar. We can book flights into Bodrum, Dalaman (for Fethiye) and Antalya (for Kemer) airports. In each case, one of our Hosts meets you and transfers you to the ship to introduce you to the captain and crew who look after you for the rest of the week. It is easy to add a week at a hotel to your Gulet cruise: the 4Reasons boutique hotel is perfect to pair with Bodrum cruises; our friendly Forever Hotel Houseparty dovetails with cruises out of Fethiye; our adult-only hotel in Side, the Raga, is a good match for Kemer cruises. 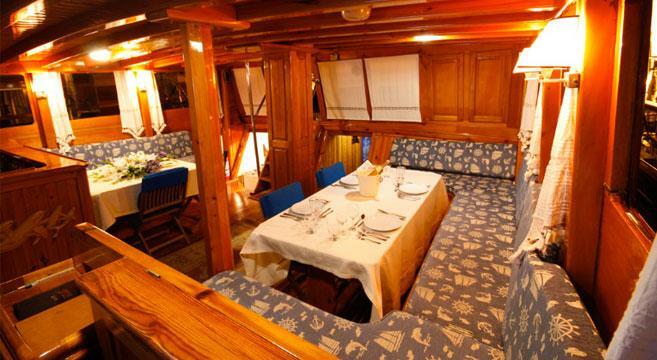 On two-centre holidays, we include transfers between Gulet and hotel. Our route from Fethiye is - Fethiye - port, OluDeniz- Gemiler Island, Tersane Island - Yassi Islands, Gocek - Bedri Rahmi Bay, Kleopatra Port, Tarzan Bay and back to Fethiye Harbour. Our route from Antalya is - Kemer - Porto Genoa Bay - Cayagzi - Soguksu Bay - Kocarkari - Kalekoy - Gokkaya - Suluada Bay - Phasalis and then back to Kemer. 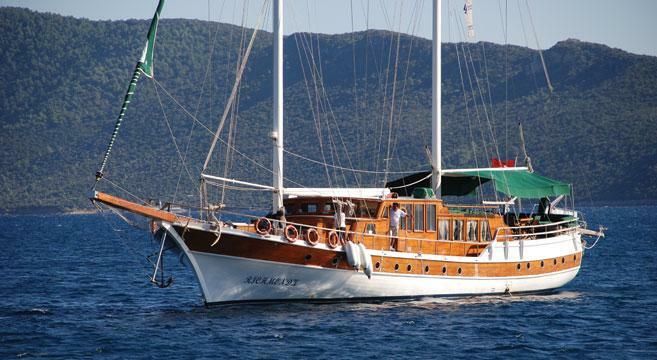 A Friendship Travel Gulet cruise from Fethiye harbour in Turkey. 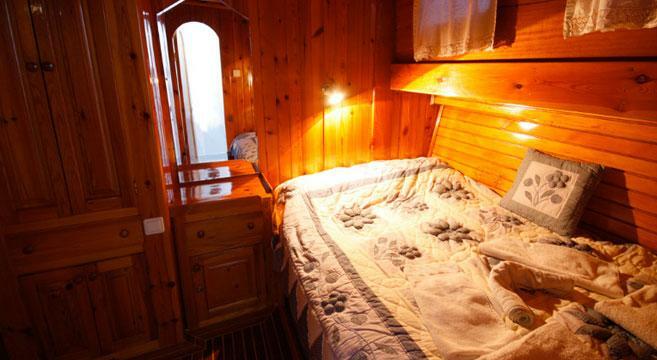 Each simple cabin offers compact accommodation for one, with 2 port-holes and its own tiny ‘wet room’ style ensuite; in other words the basics that you need for a good night’s sleep and shower/wc. There’s limited hanging/storage for clothes (please bring a soft bag, not a rigid case). 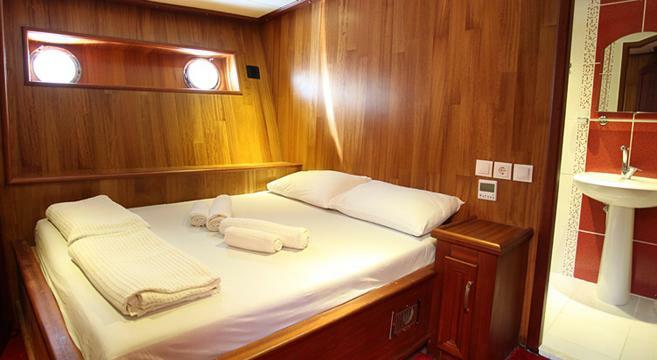 Most cabins have a double bed, but there are a couple of twin-berths for sole use. As well as bedlinen, towels for washing and swimming are provided. Return flights from 27 UK/Ireland airports, with CAA bonding for financial peace of mind.